Hilary Zaid’s earnest and moving Paper Is White explores the intersection of lesbian and Jewish identity through its memorable characters, Ellen and Francine, as they try to get married in the 1990s. Their intriguing story is genuine and heartfelt. Marriage equality is not yet a reality in America when Ellen and Francine decide to wed. Threatening their perfect wedding is the crux of Ellen’s anxiety: she never had the chance to come out to her grandmother, who died years before. This unresolved part of Ellen’s life haunts her and leads her to reach out to a Holocaust survivor who reminds her of her grandmother. As Ellen and the woman, Anya, grow close, long-buried secrets come to the surface. Paper Is White is a charming book whose true strength comes from its believable, sincere, and captivating characters. The most intriguing elements come into play when the dynamics between the characters emerge. Their dialogue and interactions are authentic and their growth is what drives the story, which can move slowly at times. Zaid’s prose is well articulated and neat, holding attention when the story drags. 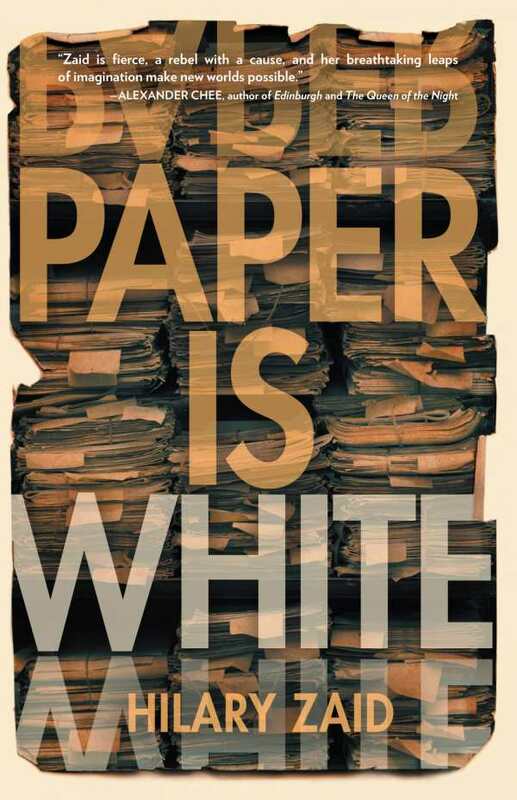 In a deeper sense, Paper Is White raises important questions about history and community. Ellen and Francine find themselves disappointed in their Jewish community as they navigate the world as lesbian women, but they do not lose faith in their identity. Ellen in particular works to better understand her community in relation to her sexuality and to cultivate something new in its place. This novel balances the fundamental story and the larger themes in an honest, skillful manner. Paper Is White is a nuanced, wholehearted journey through a relationship that remains strong even through many obstacles.